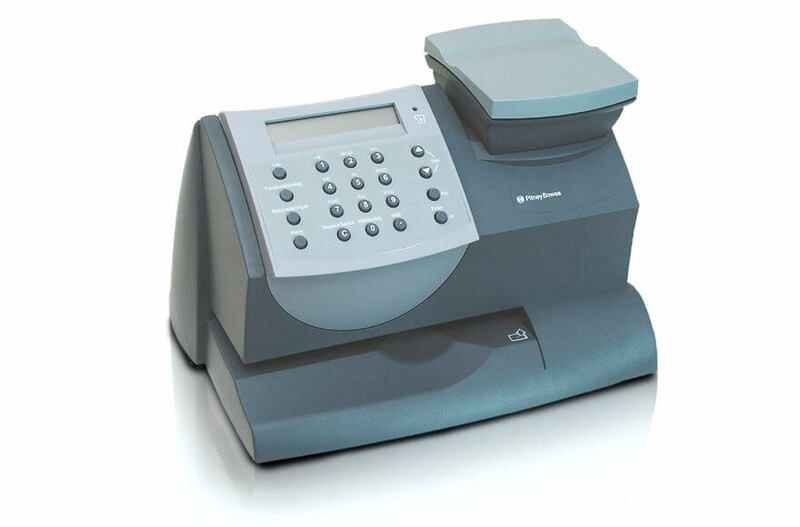 The Pitney Bowes DM50 is an ideal franking machine for small businesses. This all-in-one machine comes with the option of a built in 2.5kg scale. Using the scale to weigh the items will give you accurate pricing for exactly what you are sending, ensuring no extra costs will sneak up on you! 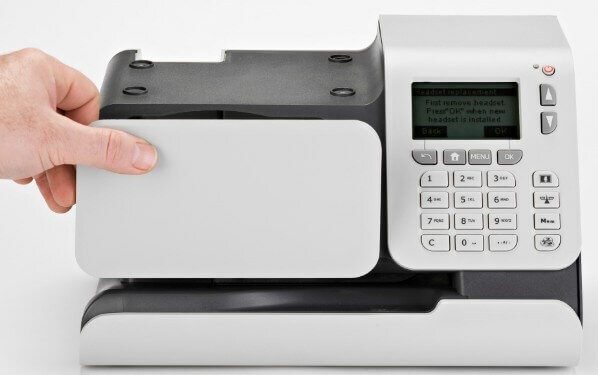 Not only does the DM50 offer hassle free weighing but you can also actively promote your business by printing a return address and a promotional message on the envelope. This entry level machine can process up to 20 letters a minute, although, the maximum number of prints a day is 30 so it is designed for the low volumes of postage a new business may experience. The machine comes with an automatic date advance feature, this allows you to frank today’s and tomorrow’s date making sure you and your colleagues save time. 2.5kg built in scale is great for businesses that send frequent parcels. Personalises mail by having up to five messages prepared for your envelopes. Has a small footprint and built in scale to free up desk space. Is able to connect to a secure LAN connection or a traditional analogue line. 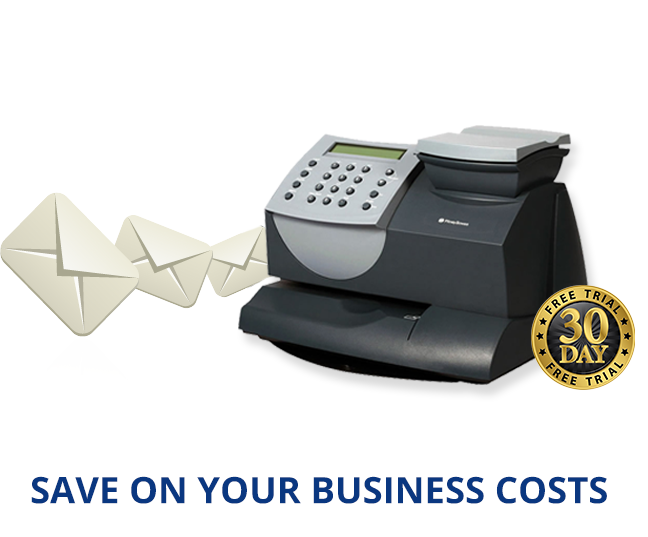 The DM50 has many great features to ensure franking mail is easy, efficient and professional. In additional to the benefits above the DM50 also comes with PIN code protection so you don’t have to worry about unauthorised use. To buy the DM50 outright will cost on average £1,020 with an additional £25 for the extended warranty to cover any faults – the price will differ between sellers so make sure you highlight your budget when speaking to us on the phone for a quote. 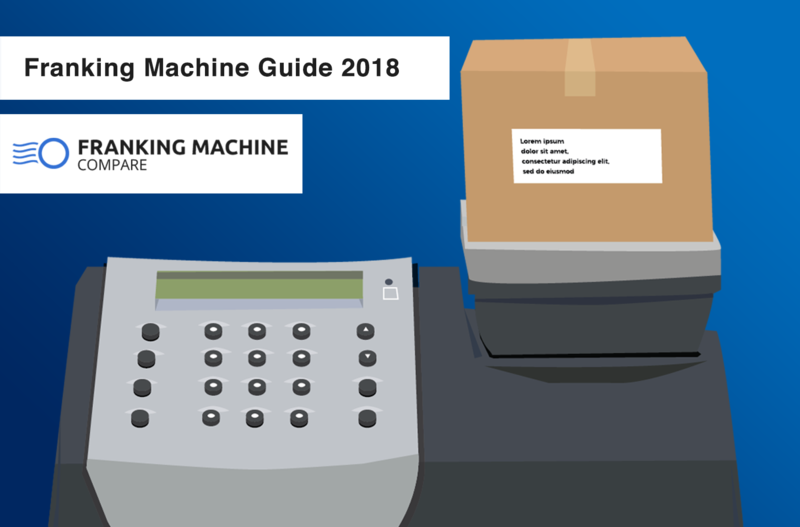 Despite the initial investment being high the franking machine will end up paying for itself as the postal rates are lower and money will be saved on each letter sent. Although, it’s worth bearing in mind any repair costs and services will fall onto you. Whereas if you rent, the rental agreement will often cover services and maintenance. Not only that but to rent or lease a franking machine will mean a much lower initial investment. The cost of renting can be as low as £19 per month and lease options could cost you around £8 a week (including warranty, for a five year fixed payment lease plan). If you rent or lease it will mean you are more dependent on the supplier but it is cost effective as you won’t have to worry about the payment of all the extras (like the ink). If you are unsure as to whether or not this machine is perfect for your office Pitney Bowes offer a 30 day free trial. The costs can seem daunting but the savings you will make on postage will soon add up! Speed: 20 letters a minute. The Pitney Bowes DM50 is a low volume model that will frank up to 30 letters a day making it an excellent choice for any company that is just starting out. It has many great features, is reliable and can efficiently handle an array of postage needs. A large benefit is that the DM50 is compact so doesn’t take up masses of desk space in your office, the built in scale not only saves space but also ensures you no longer overpay for postage “just in case”. Overall the DM50 will save you time, hassle, and money. It is a great machine for a new business that is just beginning to frank mail.